Never let 'em forget it. This top can be worn over a tee, or on its own. Super snuggly fabric keeps you warm, and thumholes keep the sleeves in place. With white print on black. These run true to size, or slightly big. 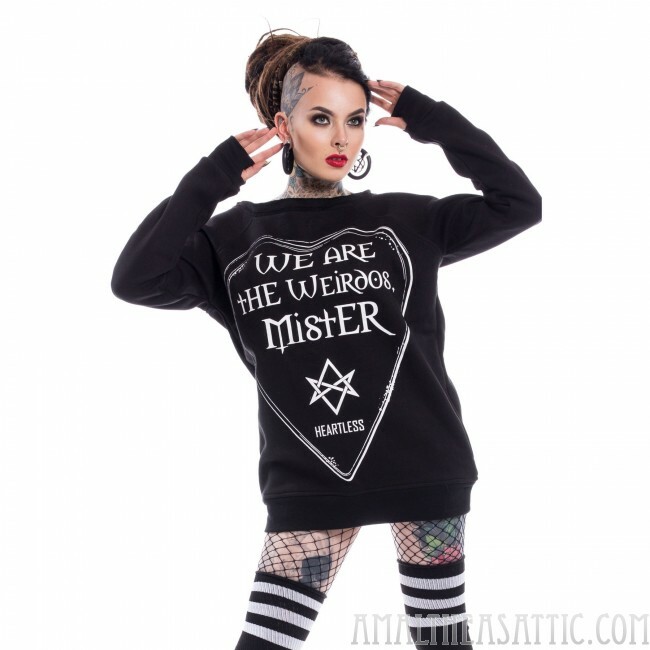 We ARE the weirdos, Mister. Never let 'em forget it. This top can be worn over a tee, or on its own. Super snuggly fabric keeps you warm, and thumholes keep the sleeves in place. With white print on black. These run true to size.